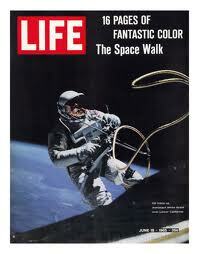 On this day in 1965 – The first spacewalk took place — by Soviet cosmonaut Aleksei Leonov from Voskhod II. This entry was posted in Uncategorized and tagged Space Walk. Bookmark the permalink.